GMP objects now support operator overloading and casting to scalar types. You can check the detailed PHP 5.6 migration guide which explains these new features and changes in detail so you can more efficiently create new code, and so you can verify your current code is 5.6 compatible. We recommend that you clone your website into a new webspace and enable PHP 5.6 (see below) to verify everything works correctly. This is expected to be the final major release of PHP 5.x before the jump to PHP 7.0, expected to be at least a year from now. A full list of new features in 5.6 is published on the official PHP site. How do I enable PHP 5.6 hosting? 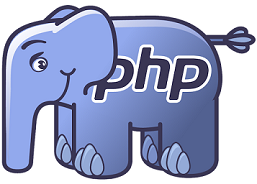 Check here for instructions about how to install PHP 5.6 on our Plesk Cloud VPS services. We’d love to hear your feedback, so share your thoughts with us. Prefer the social media approach? Then don’t be shy and tweet us or comment on our Google+ profile. Need help? Our 24/7 support team are ready to assist you at any time, just drop them a line so that they can assist you. Not a customer yet? Then our friendly Sales team can help! Try our PHP 5.6 managed hosting today!